One of Jakarta's swankiest historical settings. The well-stocked upstairs bar and adjoining restaurant are of noble colonial proportions and hung with an eclectic collection of funky, nostalgic artwork and photographs. 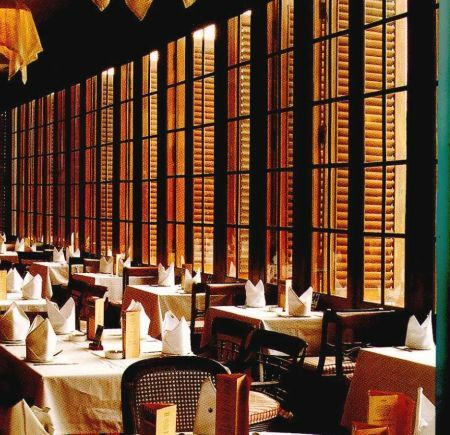 The dining room overlooks Fatahillah Square, once central to Jakarta's colonial forebear, Batavia. The restaurant has two kitchens. One offers American-influenced international dishes such as Caesar salad and elaborate ice-cream confections, the other serves Hong Kong-style Chinese cuisine. Both can accommodate vegetarians and have a weekend brunch menu. The sprawling ground-floor bar and lounge is pure hippie glitz.